Is your child creative, curious, and motivated about science, technology, engineering, or math (STEM)? • help advance knowledge and deepen understanding? • integrate real world applications into abstract concepts to make math and science fun? • strengthen fundamentals and teach skills and approaches to solving problems? • build confidence in math and science? • develop problem solving and critical thinking skills? Then STEM-U may be right for your child. 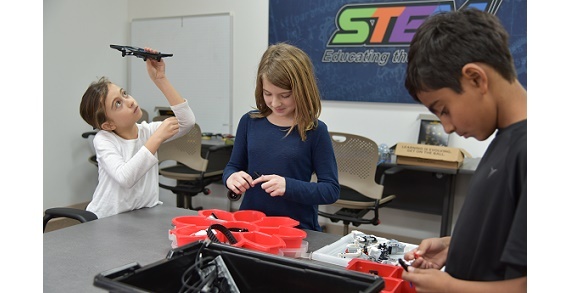 STEM-U offers math, coding, and STEM programs (after school and on the weekend) that improve your child’s understanding of content knowledge by developing problem solving strategies and critical thinking skills. STEM-U is different from traditional approaches in that it embeds abstract concepts in contexts which aid student understanding and prepares them for a future in science, technology, and other creative fields. STEM is everywhere…through the program watch your child grow academically as STEM-U fosters their love of learning about the world around them.